Age Limit: Candidates age limit should be between 18 – 22 years for men & 18 – 25 years for female candidates for General category candidates, 18 to 24 years for men & 18 – 25 years for women for Backword Class candidates and 18 – 27 years for SC/ ST candidates as on 20-03-2017. Age relaxation is applicable as per Indian government rules. 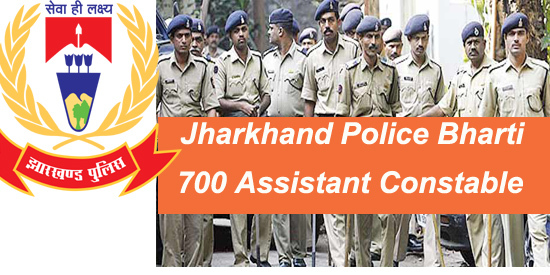 Educational Qualification for Jharkhand police bharti: 10th pass or equivalent qualification from a recognized board or university. Selection Process: Candidates will be selected based on written exam & physical test. How to Apply Jharkhand police bharti : Eligible candidates can send their application in described format with all documents by registered post/ speed post to the Jharkhand Police on.